If you are a webmaster and you have a website, or a blogger who has blog, or what ever online thing you've got and want to get popular, but you don't get much visitors to your site or page. You have tried free promoting tips, but that takes too much time and you think it's bit of hassle too. And you thinking of buying visitors but looking for cheap price. 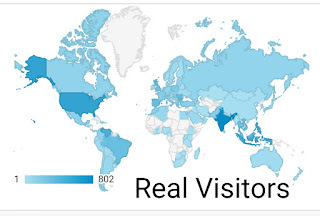 At the same time you are after real visitors not the fake bot visits. Before I introduce the site to you, let me tell you about some sites which I've tried but it didn't work for me. Actually I didn't like it for some reason, and thought it's just waste of money. First website which I didn't like was Linkcollider. I bought tokens on this site few times to get Facebook likes, Youtube subscribers, and some other stuffs. But I've lost most of the token in website views plus I think most of the views from bots anyway. Then I've tried Trffboost, which was kind of ok because it was giving real human visits, but it was too costly. I bought 10,000 points for $10.00 and you can allocate down to 1 point for one visit. But imagine where some people are offering 50, 60 or even 100 points for one visit. Then who is going to visit your site for 1 point. OK, let's say you offering 10 points a visit which is not too low but it's not high either. So it will be 1,000 visits for $10.00, do you think this is worth it? I don't think so. Ok, let's give 1 point for a visit just for sake of the argument (Will people visit your site or not? That's different matter). Still you'll get 1,000 visits for $1.00 but now I will tell you a site where you can get 5,000 visitors for just $1.75. And that site is called cashcamel.net. It is so easy that you don't even need an account. Just put your website link in the box and click buy now button and that's it. Within 48 hours you will start getting hits, and I'm sure (if your articles interested enough) you will keep getting few hits here and there after expiring the cash camel hits.